I want to encourage you to attend the next and final performances of the year by Atlanta Ballet's touring Wabi Sabi. 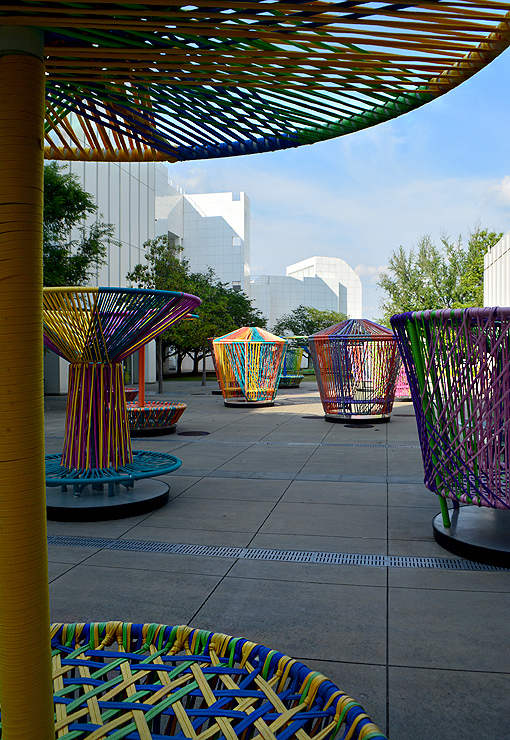 The photos in this post are of a Wabi Sabi performance I attended this past summer at the High Museum of Art, which is where they'll again be performing on Friday, November 6 at 7:00 p.m., among the museum's Los Trompos exhibition! 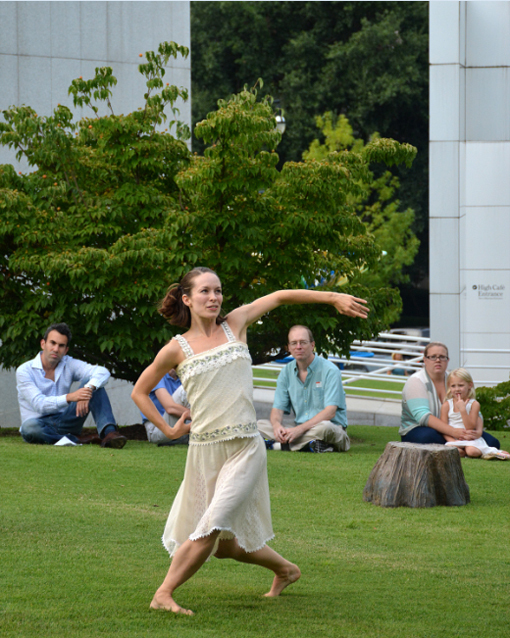 On this particular evening, Atlanta Ballet's Wabi Sabi multi-performance program began with Heath Gill-choreographed IDYLL, which I'd seen earlier in the year at the Atlanta Botanical Garden—the site where I saw Atlanta Ballet perform in advance of seeing them on stage for the very first time. It was awesome to see the same performance at a different venue, which of course made it not the same at all. 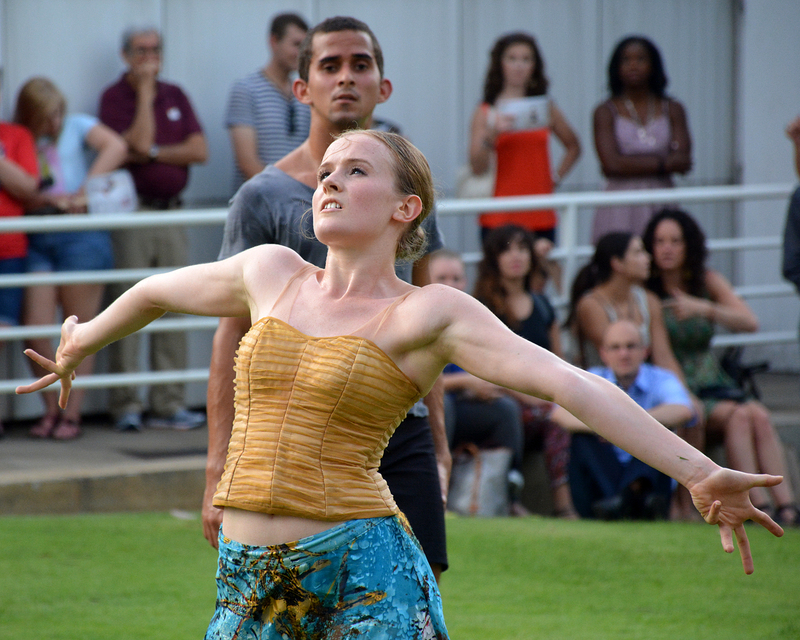 That's one of the beauties of Wabi Sabi...it brings ballet into the community, at various venues throughout the Atlanta area, each a unique experience away from the classic stage. While the regular season's opening show—Atlanta Ballet's Nutcracker—is performed at the Fox Theatre in downtown Atlanta, their home is at the magnificent Cobb Energy Performing Arts Centre. I've often thought its interior to resemble a contemporary Kennedy Center. The above photo (and the next three) is from Sarah Hillmer-choreographed "between", a high-energy, beautiful, romantic performance by Atlanta Ballet dancers Alexandre Barros, Nadia Mara, Miguel Angel Montoya, Lydia Redpath and John Welker. 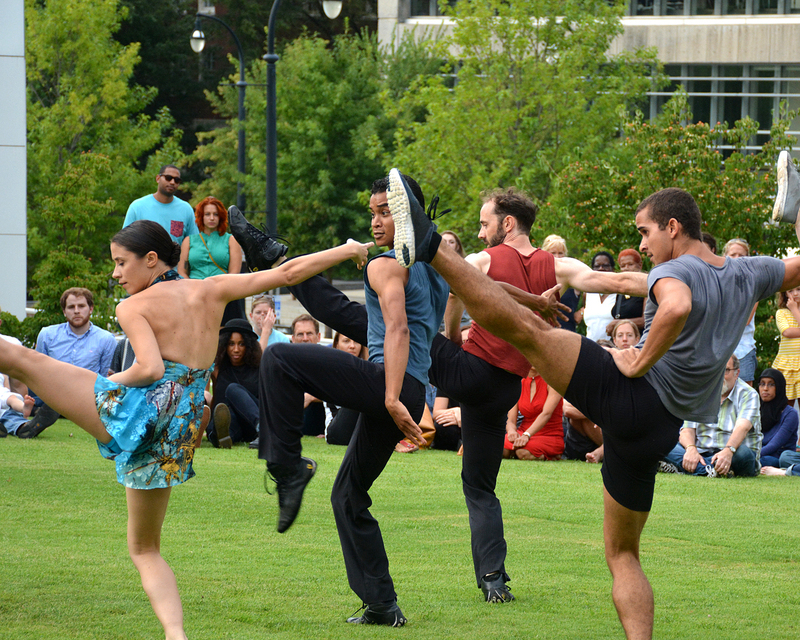 There are so many reasons to fall in love with Atlanta Ballet...one performance and you're hooked! It's one of those arts that captures imaginations and allures the least suspecting future fan. It's that strongly appealing an expression of the story of humanity. Am I over romanticizing ballet? I think not. 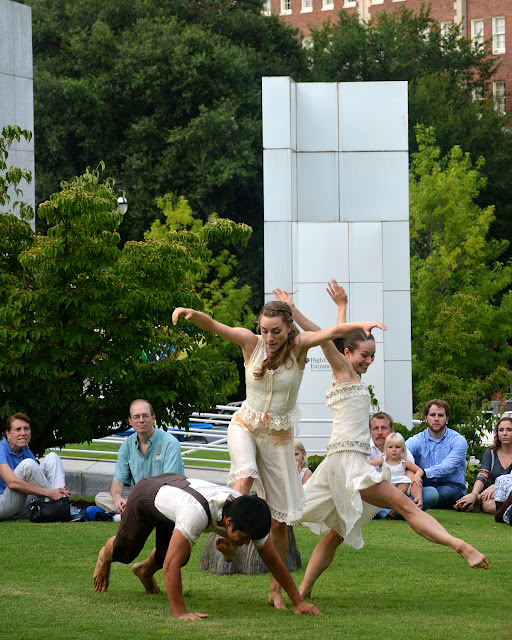 I was incredibly impressed with how elegant and powerful this performance was given the heat of Atlanta summers! 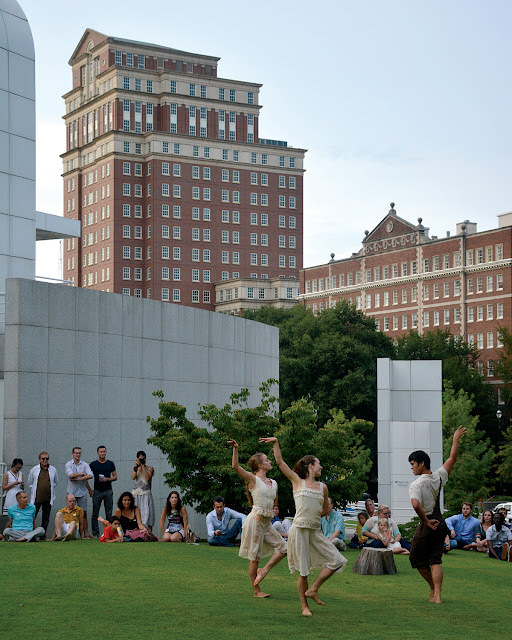 All Atlanta Ballet performances I've had the privilege of experiencing have been magnificent, and I find myself beaming with excitement that a performance that is subject to Mother Nature and the draw of other summer attractions still draws a massive, enthusiastic crowd! Wabi Sabi is a program of Atlanta Ballet that features a series off-campus performances...they bring the art of ballet into the community. It was founded more than 10 years ago by Atlanta Ballet danceur John Welker, entering his 21st season with Atlanta Ballet! 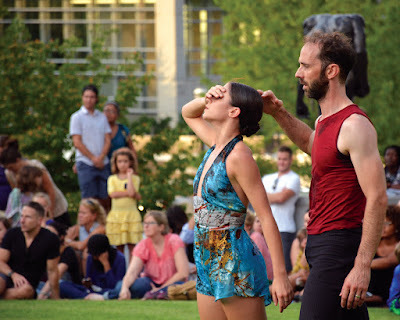 That's John pictured above with Nadia Mara, entering her 10th season with Atlanta Ballet, another of my favorite dancers. 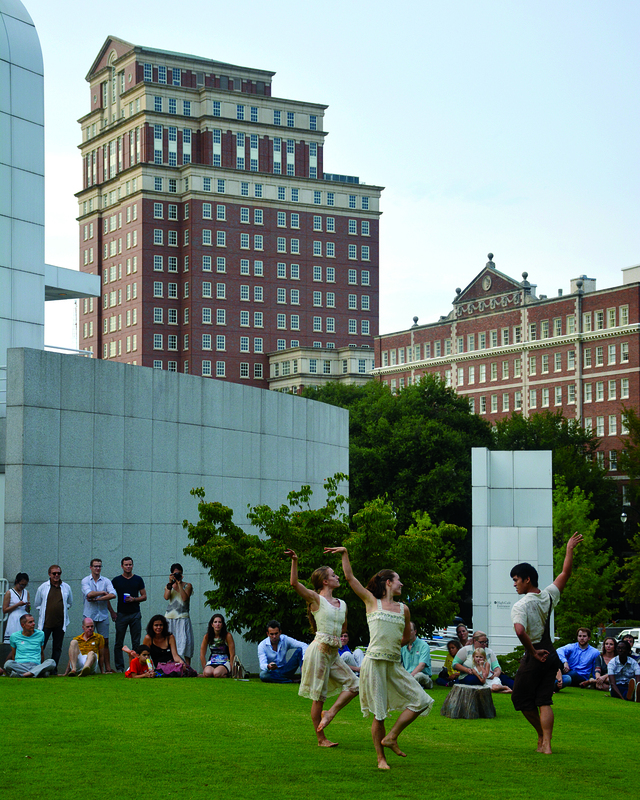 This particular Wabi Sabi performance was performed at various outdoor vistas on the High Museum of Art campus, but the dancing stories above the lawn was unexpected and spectacular! Atlanta Ballet's 2015-2016 season opens with Atlanta Ballet's Nutcracker, one of Atlanta's beloved traditions, on December 11 and will run through December 27 on stage at the iconic Fox Theatre. The coming season looks spectacular! Having seen every show in their 2014-2015 season—an absolutely magnificent experience—I do believe I'm most looking forward to the upcoming Moulin Rouge The Ballet show the most! As the most famous cabaret in history, you know the ballet is going to be fantastic, especially as performed by Atlanta Ballet! I'm quite passionate here...if you've not seen Atlanta Ballet, you're in for a magnificent experience when you do. And I love their range of classic to contemporary style. 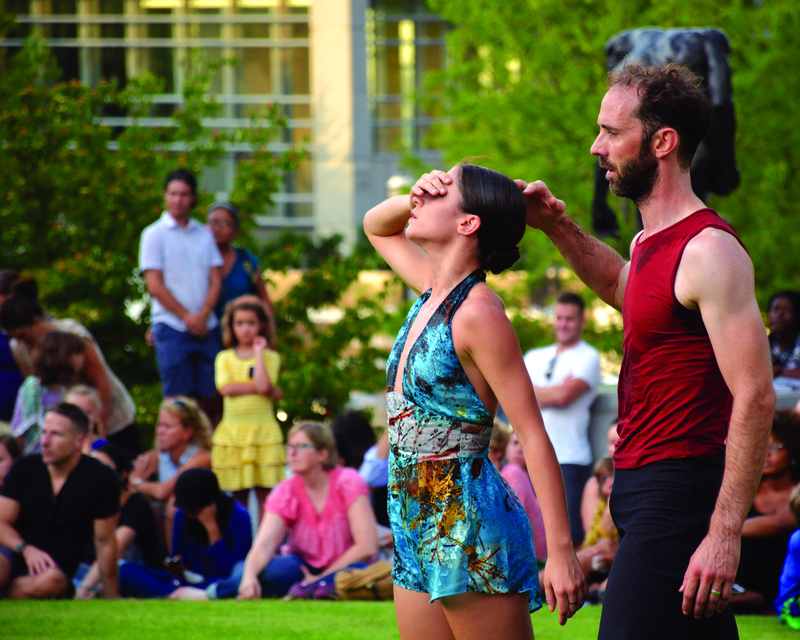 Mark your calendars and be sure you see the season's final Atlanta Ballet Wabi Sabi performance at the High Museum of Art in Sifly Plaza among their Los Trompos exhibition, pictured above. And check out the 2015-2016 Atlanta Ballet season!